Back in July, Look To The Stars reported on Jackie Chan's visit to East Timor to spread a message of non-violence to the country’s youth. As a direct result of the trip, two of Timor-Leste’s largest youth gangs have signed a peace agreement and vowed not to fight anymore. The action star received a letter from UNICEF – who organized his visit – earlier this month thanking him for his participation and updating him on recent developments in the country. Chan’s visit to East Timor aimed to curb a culture of “martial arts gangs” – groups of youths that have been involved in street fighting that led to an outbreak of violence that killed 37 people and caused thousands to flee their homes less than two years ago. During his trip, he met Timor Prime Minister Xanana Gusmao and led a choreographed martial arts display in front of over 5000 young people at Dili’s national stadium. 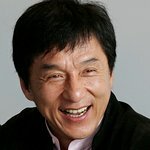 Chan is an enthusiastic supporter of charities including UNICEF, Operation Smile and his own Jackie Chan Charitable Foundation which he founded in 1988 to help young people in a variety of worthy causes, including medical services, aid to victims of natural disaster or illness, scholarships and youth activities. Atul Khare, the UN secretary general’s special representative for Timor-Leste, recently told a forum in New York that criminal incidents in Timor this year dropped to 35 incidents per week from 55 per week last year – a direct result of Jackie Chan’s work to make the world a better place.